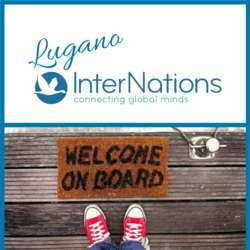 InterNations Newcomers' Event - Welcome to Lugano! Join the InterNations spirit and get to know your Newcomers' Ambassadors at bar Picchio in the Lugano city center! This is the March Newcomers' Event in our Lugano Community and we're looking forward to giving you all an introduction to the events and activities as well as the offer on the InterNations platform. Nobody stands alone, and we will make sure you all get to know each other, you learn how InterNations works, the spirit and the passion that you will love! This central location can be easily reached by bus (Stop “Capuccine”) and there is a parking building right in front (San Giuseppe), so no excuses! If your plans have changed and you cannot longer attend please cancel your attendance on the event page.